It’s also shameful we had to learn of this action from the papers, instead of from the Indian Government or US Government, which didn’t feel they needed to do us the courtesy of informing us directly. My family didn’t receive an official notification, in any case. Did any of the other families receive an official notification? There has also been no official public statement or press release from either Government. We demand an official notification and public statement from both the Indian Government and US Governments that the moratorium is ended. A report in the newspapers is clearly insufficient. The fact that we have not received an official notification yet, and had to learn about this from the newspapers, is just another sign that the Indian and US Governments have little respect for our concerns. They are only lifting this moratorium to avoid further embarrassment in the press, not out of any inherent respect for our cause. Of course, it’s patently obvious that the Indian Government does NOT deserve our thanks for ending this moratorium. Especially NOT deserving of thanks are Indian Foreign Secretary and former Ambassador to the United States S. Jaishankar, former Ambassador to the United States Nirupama Rao, and Minister of State for Home Affairs Kiren Rijiju. Why should we, the families, thank the Indian Government for finally honoring our rights, and fulfilling its obligations under international law and bilateral agreements concluded with the United States way back in 2008 and 2012? Do we thank a burglar for finally leaving our house? It is my opinion, in fact, that we deserve an APOLOGY from a very high-ranking official of the Indian Government for the many years our rights under international law were denied by the Indian Government, and for its many transparent lies and deceptions about the reasons for the moratorium. Nor does the Obama Administration deserve our thanks. For many years, the Obama Administration has put our concerns at the very bottom of its priority list for US-India relations (far below the conclusion of trade and cultural agreements) and has provided cover for the Indian Government’s abuse of our rights. The Obama Administration should also be apologizing to us for the low priority it has assigned to this issue, and its cover-up of the Indian Government’s abuses. The same goes for the Republican leadership of the US House of Representatives, and the bipartisan Congressional India Caucus (led by Reps. Ami Bera and George Holding), both of which turned a blind eye to our grievances. It goes without saying that we are NOT thankful to the Chinese Government, which, while honoring our Arunachal fallen with memorials and museums, hypocritically attacked in its media US recovery operations in Arunachal, intimidating the weak-willed Manmohan Singh regime into cancelling the Hot as Hell crash site recovery and instituting a moratorium on all crash site recoveries in Arunachal. These airmen of ours died supporting China’s resistance to Imperial Japanese aggression, and the Chinese Government shows its “gratitude” by verbally denouncing their repatriation and burial. Nor do we thank the International Committee of the Red Cross (ICRC). Our families expected, given the ICRC’s long history and proclaimed mission of expediting the recovery of war dead, that it would respond positively to a simple request for a letter to the Indian, Chinese, and US Governments reminding them of their international humanitarian law obligations to remove all obstacles to the return of our Arunachal war dead. The ICRC refused, saying it didn’t have the resources ! In view of the long history of deceit on the part of the Indian and US Governments on this matter, we are also owed photographic documentation of recovery work at the crash sites, and a public COMMITMENT that the moratorium will not be reinstituted, except temporarily for major natural disasters in the vicinity of the crash sites or the outbreak of international war on the territory of Arunachal Pradesh. We also demand that investigations of all documented crash sites in Arunachal Pradesh will be completed no later than 3 years from now, for the sake of the most elderly of the relatives of the Arunachal missing in action. 1. Seven years ago, in 2008 after much lobbying and pressure, we were publicly promised that Arunachal recoveries would proceed very soon, and we felt assured that our goal of getting our loved ones back had finally been addressed. That promise was soon broken, when our recovery team was forced to withdraw from Arunachal, and a state-wide moratorium on Arunachal recoveries was imposed. 2. Three years ago, in 2012, after more lobbying and pressure, we were publicly promised that Arunachal recoveries would proceed very soon, and we felt relieved that the moratorium imposed in late 2009 was finally over. That promise was broken as well. We must insist on GUARANTEES that this newest promise, of 2015, is not broken like all the previous promises were. 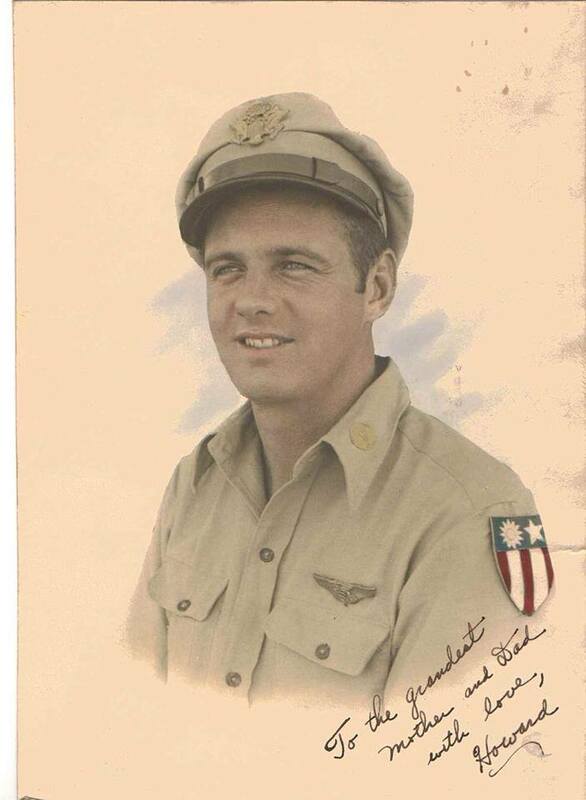 Nephew of USAAF 1st Lt. Irwin Zaetz, Missing in Action since January 25, 1944 in Arunachal Pradesh. Posted on September 29, 2015, in History, Politics/Diplomacy, Security and tagged Arunachal Pradesh, Gary Zaetz, Indo-US, POW-MIA, US-India, US-India Relations. Bookmark the permalink. Leave a comment.